He founded Self-Empowerment Coaching LLC in 2008 with the vision of helping others to help themselves. His mission is to guide others To see the BEST in Themselves so that they can BE the Best of Themselves. Rob understands deeply the challenge of a Life Changing Transition. After experiencing his own life changing challenge of surviving cancer — which prevented him from continuing in his career — he had to reinvent himself. He decided to turn his Life Transition into a Life Ambition. And training to become a Life Coach brought him to his Life’s Purpose and Greatest Passion, helping and sharing with others. The positive energy from our passion is our greatest form of advertisement. Coaching those who are experiencing a dramatic life changing event to better cope,! To see the possibilities not just the probabilities! With over 25 years in corporate Human Resources and Merchandising Management, negotiation union agreements, training, developing and managing a substantial work force, Rob helps corporations, small business and their employees (pinpoint the hurdles and help them overcome those obstacles. To greater employee fulfillment, retention and productivity. Multi-Generational Corporate Training includes Developing Leadership Management Skills, “Coach vs Boss” Hiring Techniques, Delegating, Team Building, Employee Development, Work Life Balance with the goal of greater employee satisfaction, productivity and retention. Working with Job Applicants to hone their interviewing skills, including mock interviews, working on a greater self awareness while focusing on their strengths. Being Prepared and confident and passionate. Partnering with parents who struggle with the challenges of Parenting in this fast moving digital Age. Offering Skills and tools to strengthen the family bond, (Team Building) the foundation for their child’s successful journey into adulthood. Helping each person develop their vision, create specific goals and achieve those goals! Our birthright is that of being happy! Children deserve to be happy, but from the core not from the store! What if my time and money are limited – can I still experience coaching? With my Goal Setting/Jump Start Program, for an affordable rate, you can experience a 90-minute session focusing on gaining clarity with what you want for your life and creating a plan to bring it to fruition. You complete several exercises (included in the fee) before our call, then take the plan we create together and work through the actions on your own, at your own pace. Another option is to Share your coaching sessions with a friend, partner, colleague or anyone else you know who also has goals they would like to accomplish. You don’t have to be working on the same things, you both just must be committed to your growth and success. The added benefit? You have each other as support between calls as you share the cost of the sessions. One more option is a la carte sessions, once per month or as needed. This is a way to maintain momentum after the Jump Start Program, following a lengthier coaching package or for a specific issue you want to discuss. 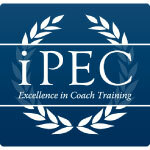 What results can I expect from coaching? 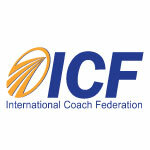 Through coaching, you can build increased confidence in yourself; move past fear and anxiety when in transition; grow and develop toward your potential; discover new passions and rekindle old ones; learn to take time for yourself; change limiting thoughts and habits; transition to a new career and/or life-style; add more joy and freedom to your life and much more. What success have you had with your clients? Coaching works best when the client is committed to doing the inner and outer work. Which for many find the “self-work” is most challenging, which is a necessary part of Self- Growth. By being prepared for each session with both accomplishments and challenges they have experienced, and are currently facing. Prioritize what they want to work on during the session; and being fully present during all of our coaching sessions by calling on time and be in a place that limits distractions; taking notes during your session to refer back to and reflect on; and taking action toward their goals between each session. Don’t just take my word for it. read some client success stories. Have you helped people in my situation? Clients reach out to me with a multitude of Dreams, Desires, Goals, and Challenges. I customize their plan based on their needs, and meet them where they are at individually! Bullying, Low Self-Esteem, Peer Pressure, Self-Defeat, Social Anxiety. I work with clients who are seeking clarity, build confidence and want to take control in their lives. Those who are ready to achieve the goals and dreams they have been putting on hold for “someday”, and those who are seeking a balanced life that encompasses all of their passions, their “best fit” career and life. My focus is helping people to stretch out of their comfort zones to experience more of their potential and add more excitement, joy and freedom to their careers and personal lives. Where are you located ? Do you only work with local clients? I am based in both New Jersey and Florida I primarily work with clients Via webcam, Skype, or via phone I have clients throughout the United States as well as internationally. I find that the webcam is as effective as in person while saving time with travel and expense. How do I know if you are the right coach for me to work with? Since coaching is an investment in your future, you want to be sure to choose the right coach. I offer a complimentary introductory consultation to get a feel for my background, approach, and style, enabling you to choose to make an informed choice. How long will it take for me to get clear and achieve my goals? That will depend on your individual wants, desire and time line to achieve your goals. Your results will be based on your commitment and the amount of action you take between coaching sessions. Three months is the recommended minimum to begin to see desired changes in thoughts, which often hold us back and lead to action, changes in habits and achievement of goals. However, I have seen great progress in those that have fewer sessions as well. Although as we know there are no guarantees in life, I can guarantee I will be committed to your success. This is about you and I will partner with you through this powerful experience. What will happen during a coaching session? I will actively listen while you talk and ask powerful thought proving questions, helping you clarify and offer different prospective on how you see and believe certain things. Our sessions can be used for exploration of ideas, brainstorming of new possibilities, discussion of strategies, and development of action plans. I will act as your supporter, sounding board, resource and motivator. I might challenge you, teach you or offer you strategies to help move you forward. What are typical reasons people come to work with a coach? My clients come to me for a variety of reasons including…career transition, professional development, personal growth, improving personal and professional relationships, better management of their resources and time, finding more joy and fun in life, life balance, and much more. 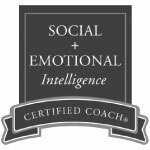 Why would I want to work with a career coach or life coach? You may choose to work with a coach to gain clarity of who you are, what you want, where you are going and how to get there. To create big goals, meet all of your goals faster, increase your self-confidence, make challenging changes more easily, move through transitions with greater support, and find new ways of thinking, being and doing.